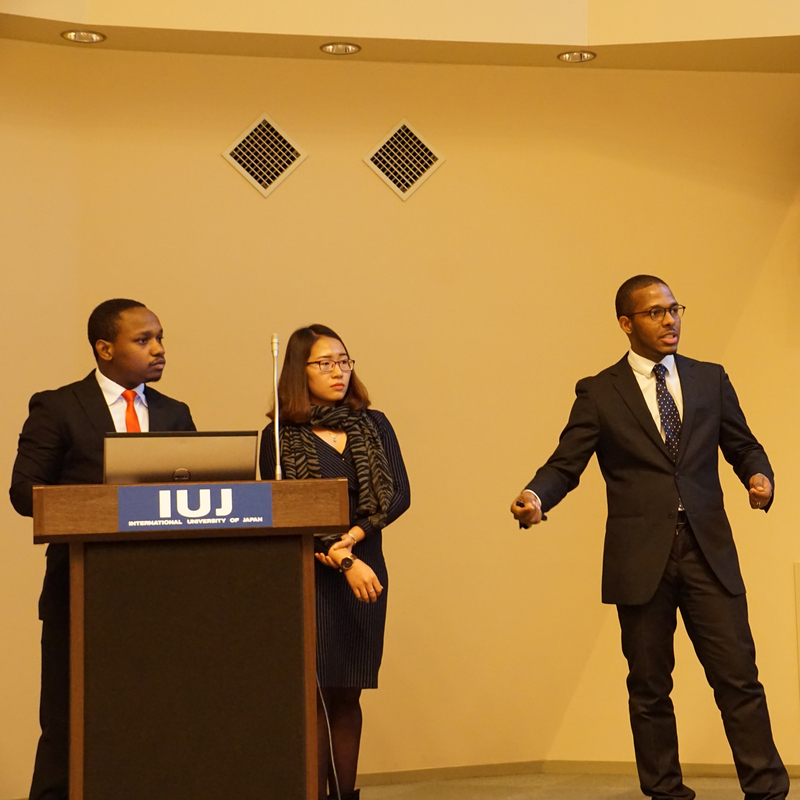 On Saturday, December 1st, IUJ’s Hult Prize event was held on campus. The Hult Prize is a competition which started in 2009 and encourages students to come up with ideas that tackle pressing social issues. 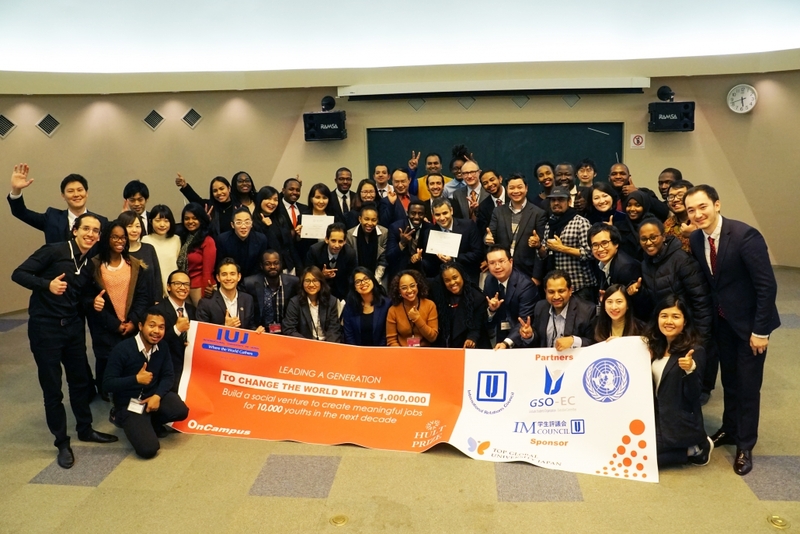 This year’s event centers around the global issue of youth unemployment, and ten teams presented their ideas on how to create jobs for 10,000 young people over the next ten years. 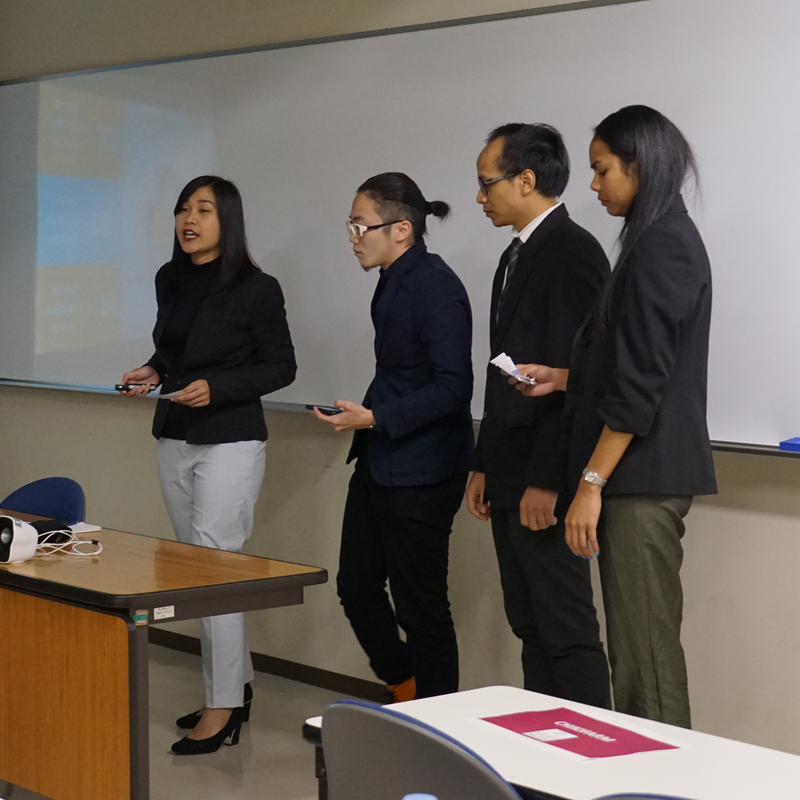 From the initial ten teams that took part in the event, the judges chose six groups who progressed to the final round. 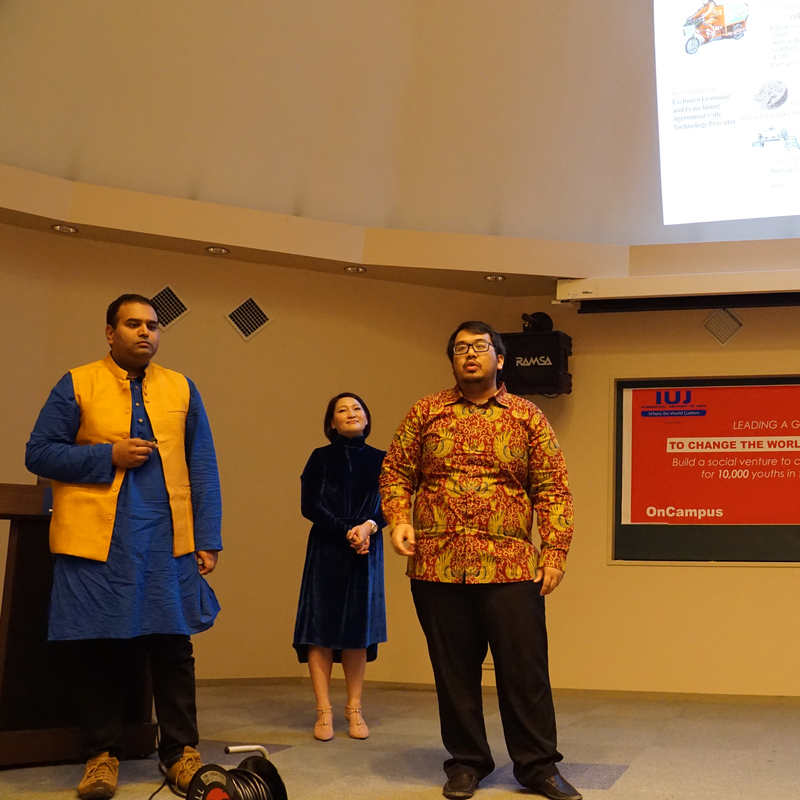 The finalists presented various ideas to provide jobs for youth in the next decade, including farming innovations, employment apps to connect job seekers with job offerers, and sustainability projects to turn plastic waste into biofuel. 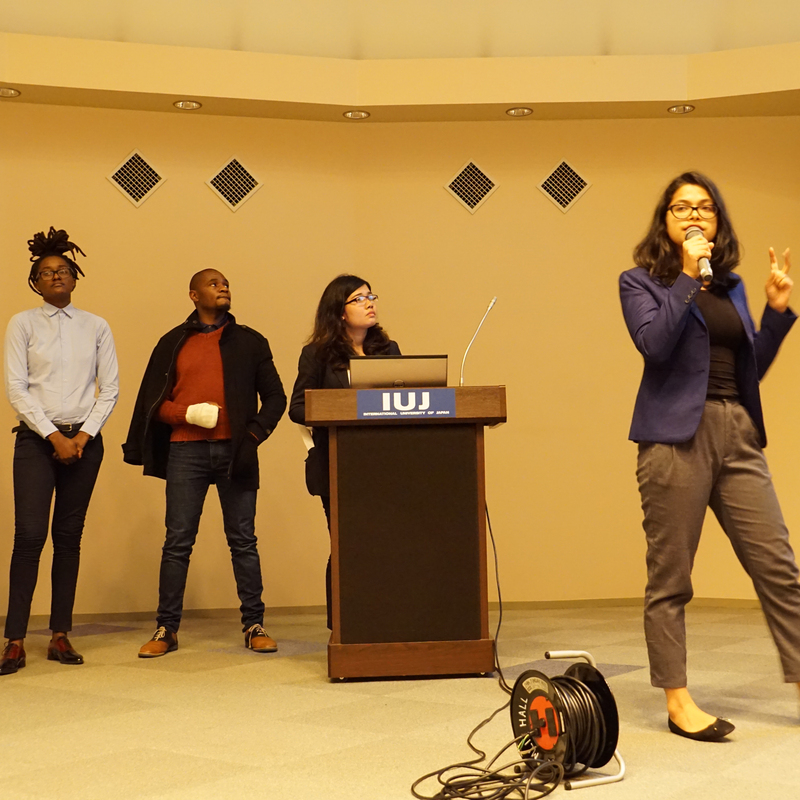 Teams had to demonstrate how their plan to create jobs would be practically applied, and provided information about financial projections, distribution channels, key partners in their business strategies and plans for future expansion. After some difficult deliberations, the judges had to choose only one winner from the six finalists. 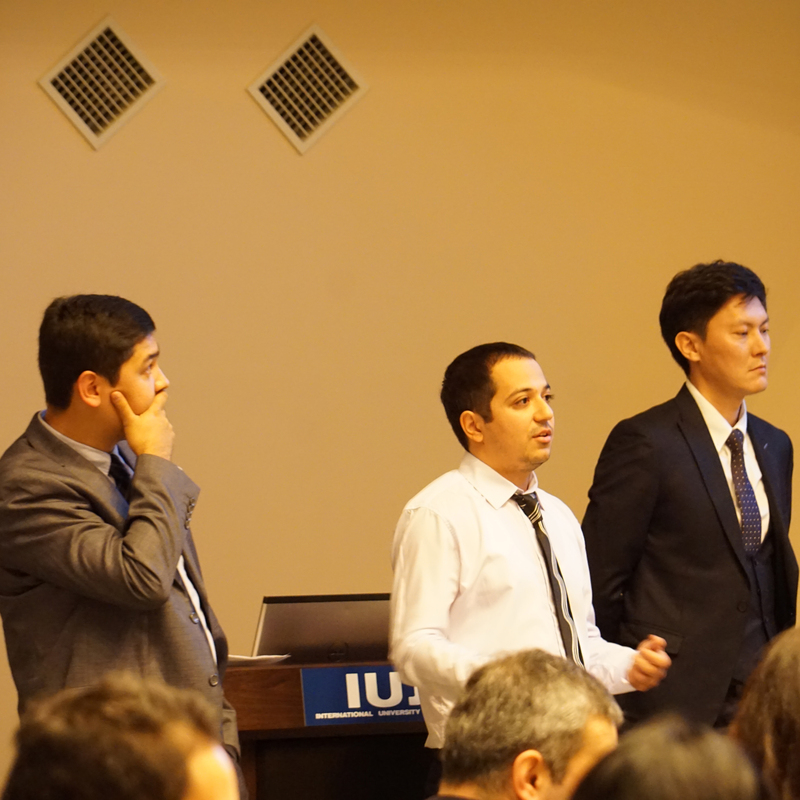 The winning team was i-UCARE, comprising of Mohannad Yakoub from Syria, Omer Elbasha from Sudan, and Chika Isakeeva from the Kyrgyz Republic. 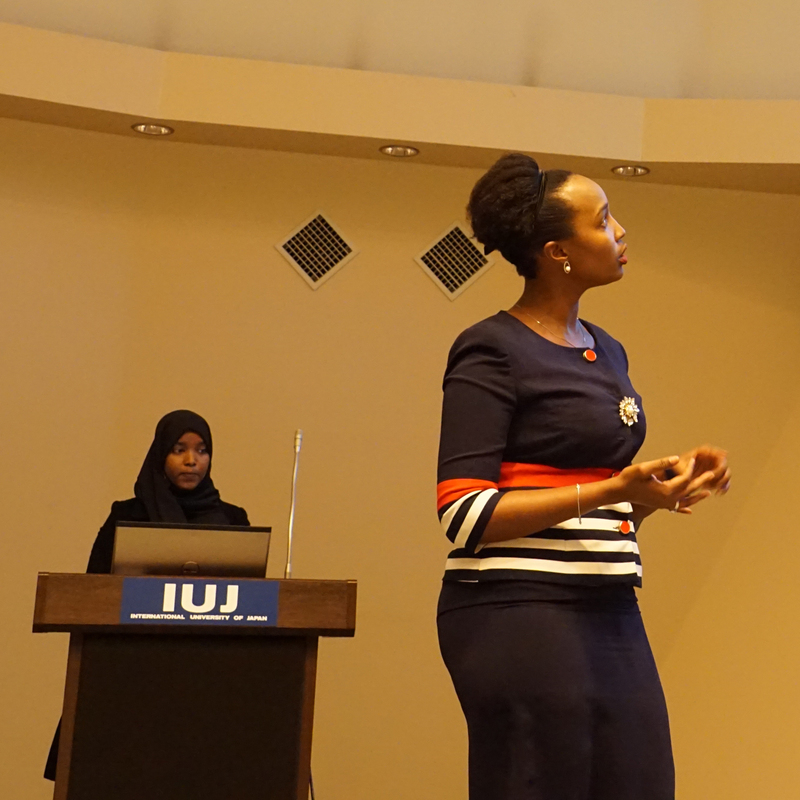 Their proposition sought to connect skilled refugees with employment opportunities, particularly for tasks like digital microwork. 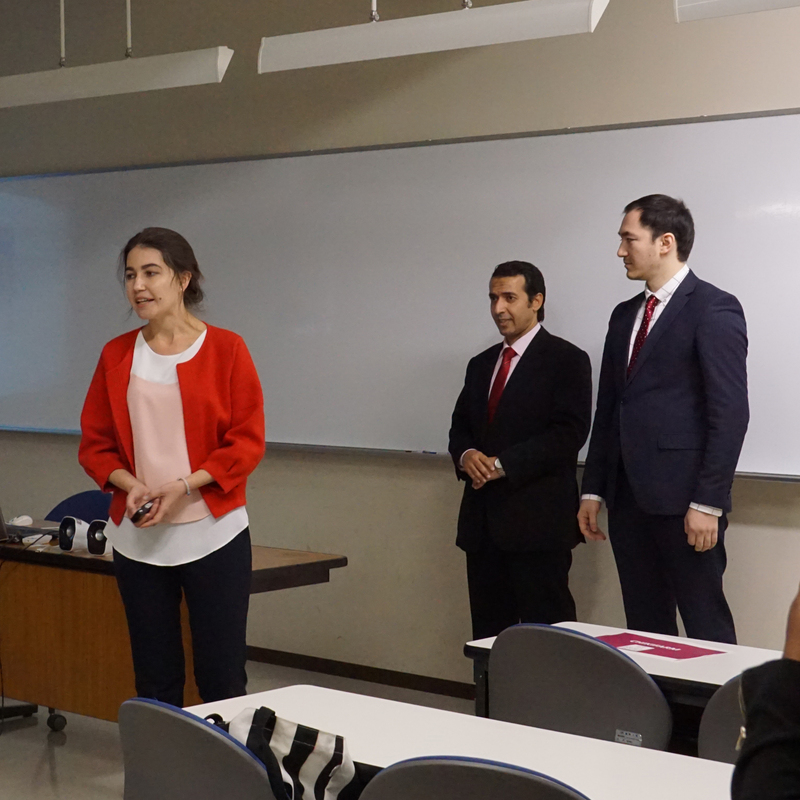 The team will now progress to the next round of the competition, with regional finals taking place in March of 2019. 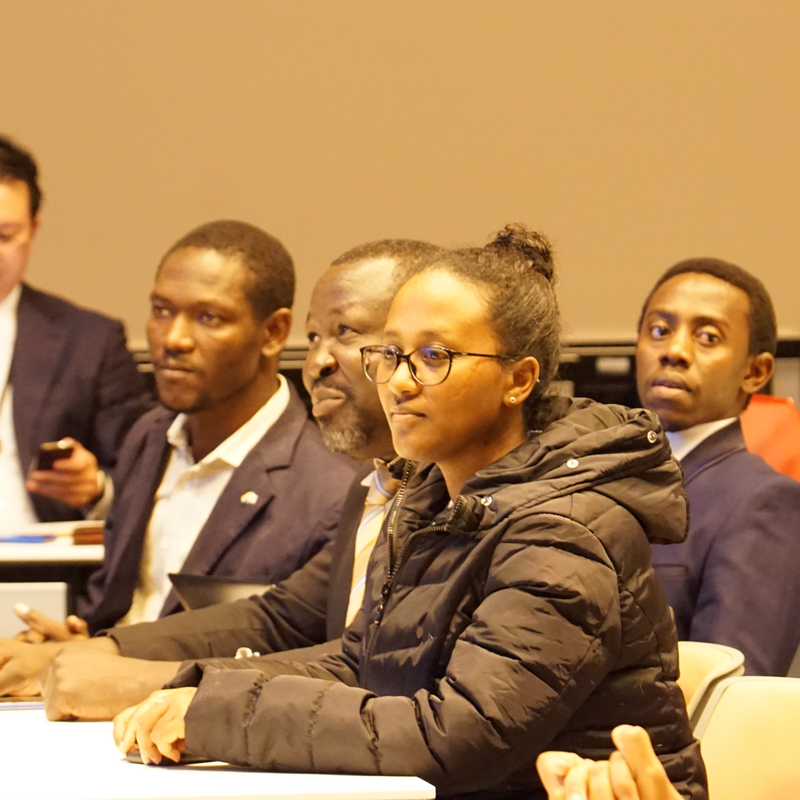 If the team succeeds at the regional level, they will then head to the global final hosted by the United Nations in New York later in the year. 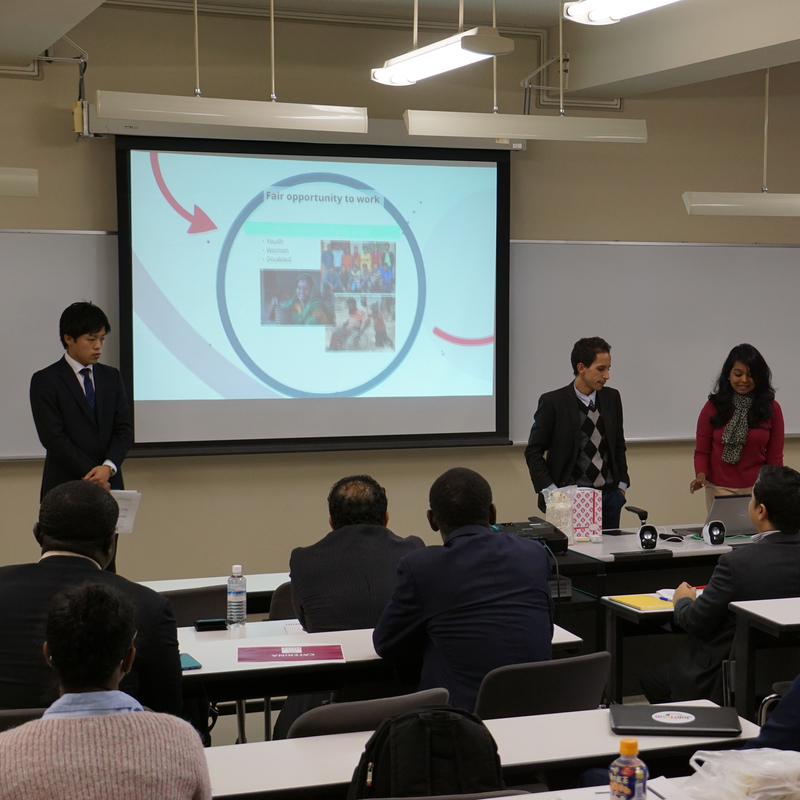 We would like to thank everyone who was involved in making the Hult Prize event at IUJ a success – from the students who participated and shared their world-changing ideas, to those who were involved in the coordination of the event, and the judging panel who gave constructive feedback to students on how to refine their concepts. The teams who were involved are mentioned below. 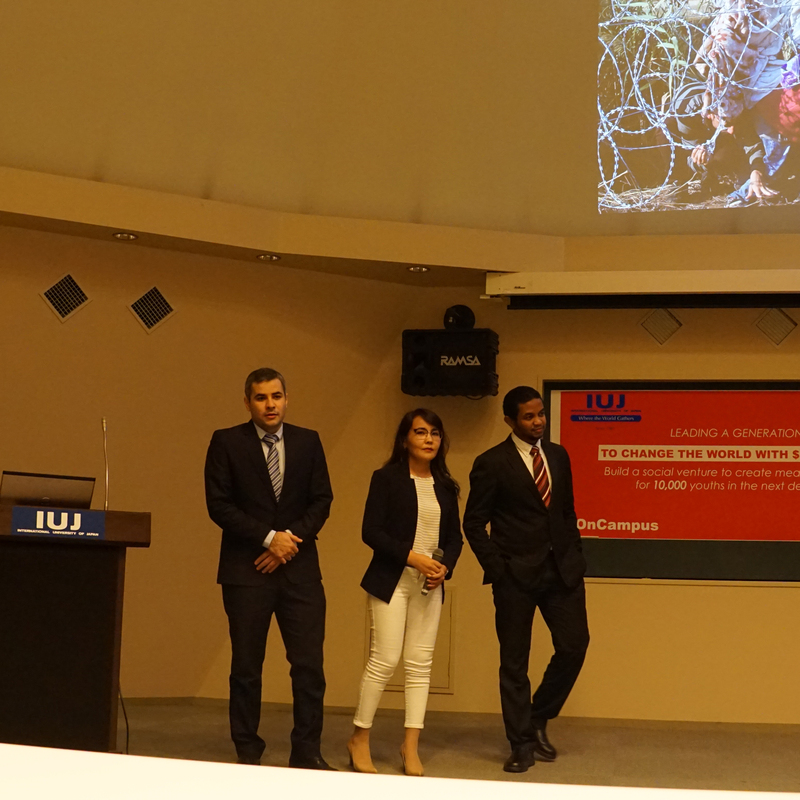 For more about this year’s Hult Prize Challenge, visit this link.